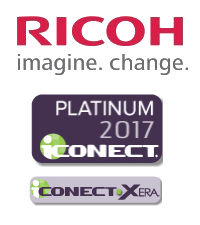 We are happy to share that Ricoh eDiscovery in the US has earned the 2017 Platinum Partner Award from iCONECT. This award recognizes Ricoh’s dedication and commitment to excellence in litigation support hosting and services. By presenting this award to Ricoh Discovery, iCONECT recognizes that Ricoh continues to provide an outstanding eDiscovery experience for its clients. Partners were evaluated in such areas as contribution to product vision, customer service, engagement with clients to expand eDiscovery knowledge, and joint marketing. iCONECT partners must also meet requirements for product knowledge, administrator certifications, duration as a hosting partner and size of installation to qualify. To our 2016 Sponsors, we thank you. As we head into the last weekend before Technology in Practice 2016 launches in Toronto, and a bit of calm before what promises to be a very busy but exciting week ahead, we wanted to take a moment to recognize our incredible sponsors. These organizations have invested their own time and resources to help us make this conference what it is today. But beyond that, they have helped make our industry what it is today. They are by definition, "Champions of eDiscovery", having had the courage to lead the industry by opening doors for others and pioneering new ways of working. Thank you to all of our Technology in Practice 2016 Sponsors.